Johanna Handley is a 37-year-old teenager, living in the Middle East, with her husband, 3-year-old daughter and an array of rescued animals. Although she aspired to someday writing a children’s book, she had no prior knowledge or training in this area. Her short term goal was simply to learn how to write. Upon discovering the ‘Write Storybooks for Children’ course, Johanna signed up immediately. For her, the website exuded trust and professionalism, the course modules looked compelling, and the price was just right. Armed with the inside knowledge and expert training she learned from this course, she entered a children’s writing competition in Qatar… and won! 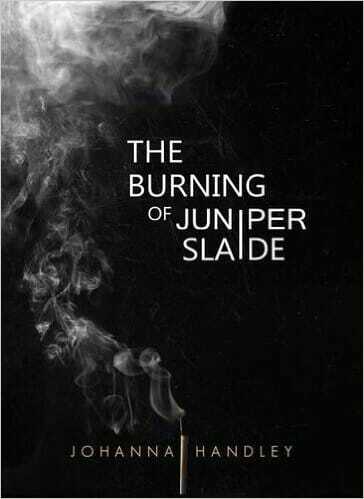 This initial success gave her the confidence to write and publish her first novel ‘The Burning of Juniper Slaide’ (a Young Adult thriller). Despite not being overly happy with the quality of the final book, it still proved to be successful. Within just 3 months she had sold over 500 copies and received over 30 5* Amazon reviews! Noting her success and potential she was contacted by a small traditional publisher (Rudling House) who have not only taken over the publishing of her first book, but have since offered her a publishing deal for a trilogy based on her first novel. 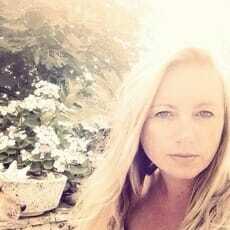 They have also agreed to publish her forthcoming second (unrelated) novel! Write Story Books For Children was a huge help and inspiration when I first started writing. I thought the course was so well constructed and so easy to take in. I had done some writing courses prior to this one and they left me feeling a little deflated. None were as informative or as easy to digest as this one. This course was surprising. It was beautifully designed, simple just very well put together. It was insightful and to-the-point, no jargon, honestly-written, and above all, very, very helpful! I went back to the course modules several times over the years as a source of support.